If you’ve been to the Web page with the offerings in the crowdfunding campaign for The 1st Alive with Clive 10K Charity Extravaganza, you will have noticed that the page looks more visually appealing now that graphics have been added. Though I may not be entirely objective about what I’m about to say, while I have personally made contributions in several crowdfunding campaigns, I can’t recall ever having encountered a crowdfunding campaign in which so much value is available to those who participate. 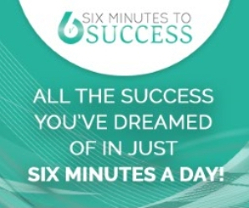 The information in the courses being provided has the potential to enable anyone who applies it to generate the income necessary to achieve financial independence in a multitude of different ways – all for an unbeatable 80% discount! 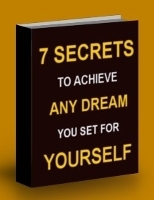 Since my $47 E-Course, 7 Secrets To Achieve Any Dream You Set For Yourself, is available for now as a bonus to everyone who participates, you have an added incentive to participate now. I recently installed a fundraising thermometer to keep track of contributions to the crowdfunding campaign. While it isn’t updated automatically whenever anyone makes a contribution, I’m hoping to be called upon to update it manually at the end of every day to reflect all the contributions that are made every day, and I’m looking forward to seeing the vertical, currently diminutive, green bar grow taller at a rapid pace — like a bamboo tree emerging from the ground after an extended period of growth underground — to reflect your contributions! In the days ahead, I’ll be publishing a new series of Blog posts relating to the crowdfunding campaign. It is going to be known as The Top 10 Reasons to Support the Crowdfunding Campaign for The 1st Alive with Clive 10K Charity Extravaganza, and it will be in the form of a countdown, starting with Reason # 10. 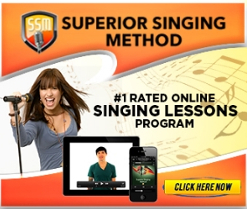 On the assumption that you also want to see singer-songwriters and charities thrive in collaboration with Alive with Clive, with the publication of each post you’ll have content to share with your friends, relatives and fans via posts on Facebook, Twitter and other social media sites, as well as in emails, to encourage them to participate in the crowdfunding campaign and benefit from the offerings too. The guest featured on This Week on Alive with Clive is Hana Zara, an immensely-talented blossoming singer-songwriter from Burlington, Vermont, via Lincoln, Nebraska, with a stop in Murcia (the title of one of her songs), in Spain, along the way. 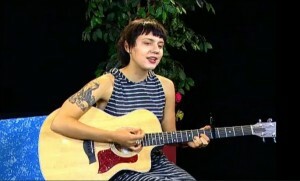 During her 1st of 2 shows, Hana performed three songs from her record, Tatterhood, as well as “Murcia,” which is one of her newer songs, and in her second show, which will be available starting at Noon on Thursday, October 23, she performed two songs from Tatterhood and another two of her newest songs. As I mentioned to Hana during her interview, she reminds me of Norah Jones and Jewel, and so she’s definitely a singer-songwriter you will want to follow. 7. Meet the New Alive with Clive–MVP! It happened so quickly, you’ve already met her. Yes, ladies and gentlemen, it gives me great pleasure to announce that Hana Zara, the singer-songwriter featured on This Week on Alive with Clive has already generated enough plays on Vimeo to be the second singer-songwriter to ever enjoy the distinction of being an Alive with Clive MVP. For more information about the designation, AWC-MVP, click here. And so far, more than 240 plays on Vimeo have already been recorded for her 1st of 2 shows on Alive with Clive, more than double the number of plays recorded by her predecessor. I’ve been continuing to listen to The 11 Forgotten Laws by Bob Proctor and Mary Morrissey, and allowing the principles to permeate and become deeply embedded in my thoughts. 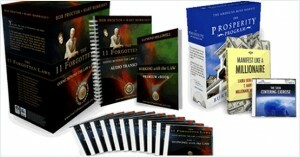 If you haven’t already acquired this superb compilation of recordings, based on the book, Working with the Law – 11 Truth Principles for Successful Living, by Raymond Holliwell, I promise you it is a worthwhile investment and you will find that by listening to it often you will rewire your brain and begin to experience breakthroughs in areas of your life that are important to you. As a result, you’ll be helping singer-songwriters and charities to thrive in collaboration with Alive with Clive. So please click here to participate in the crowdfunding campaign now, and click on the social sharing buttons below to share this post and the offerings page on Facebook, Twitter, Google Plus, LinkedIn and Pinterest.